Does the triple-A indie have a future? Developer Ninja Theory introduced the concept last year with Hellblade: Senua’s Sacrifice, a game that looked and played like it was made by a big publisher without the bloated budget to match. Hellblade was a solid success, selling at least half-a-million copies, but it hasn’t exactly set off a stampede of imitators. Where are the other big, ambitious indies? Enter Past Cure. Past Cure casts players as Ian, a former elite soldier who was subjected to a series of human trials under mysterious circumstances. This left him with horrible nightmares and a three-year gap in his memory, but he did gain a variety of useful mental abilities. Despite the spiffy new superpowers, Ian is still pretty salty about being experimented on, so he sets out to uncover the shadowy men who exploited him. Honestly, Past Cure’s plot is fine, it’s just so self-serious, so flatly told, that it ends up feeling like a drag. Past Cure’s visuals contribute to the game’s overall lifeless feel. Occasionally, under the right light, Past Cure almost looks the triple-A part, but most of the time it’s bland and bare bones. Also, despite being no great looker, the entire game is played in a weird reduced resolution and suffers from frequent framerate issues. On the audio front, most of the voice actors sound like they recorded their lines before their morning coffee, and, one well-chosen piece of public domain classical music aside, the soundtrack is forgettable. Overall, dead storytelling and drab presentation combine to create a rather dismal world. Ian’s new mental powers serve as Past Cure’s big gameplay hook. Our frowny-faced hero can briefly slow down time, investigate areas in first-person using astral projection, and, in occasional plot-convenient instances, possess enemies’ minds. All these powers deplete a Sanity meter, but don’t get too excited – nothing cool or creepy happens when it runs out. The screen just blurs for a second, then the Sanity meter begins refilling on its own. Unless you just started your gaming career this week, most of Ian’s powers should sound pretty familiar. 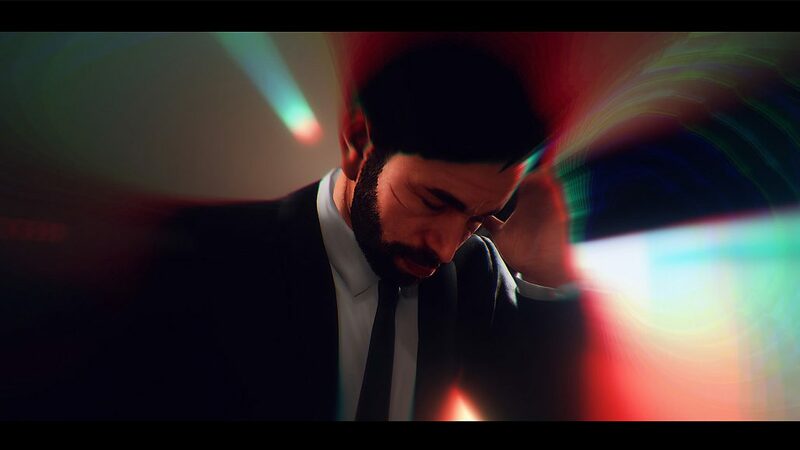 Slowing down time is obviously lifted from Max Payne and its countless imitators, and the astral projection gimmick has been done before in games like Dishonored and Beyond: Two Souls. But hey, a mechanic doesn’t have to be original to be fun! Ian’s abilities should make for some empowering, badass moments, but Past Cure’s lousy basic controls stifle the fun. Moving, shooting, and fighting is so slow and clunky everything you do just feels like a chore. Past Cure may be the most tonally inconsistent game I’ve ever played. Within the game’s first couple hours you’re tasked with escaping a Silent Hill-style nightmare world, unraveling a stylized Portal-meets-Superhot puzzle labyrinth, and sneaking and shooting your way through a series of grounded, real-world stealth challenges. And that’s just the beginning of the game’s wild shifts in genre and mood. Sure, variety is the spice of life, but almost no effort has been made to meld these clashing styles together into a cohesive whole. The horror-flavored bits are probably the best part of Past Cure, which is to say, they’re at least competent. 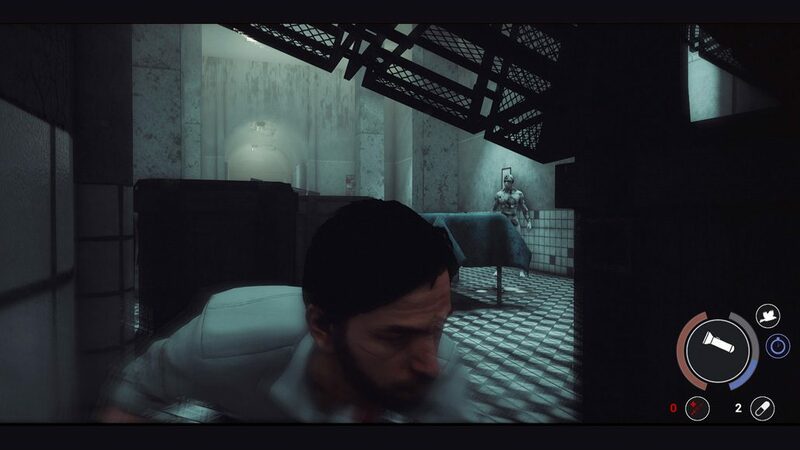 Don’t expect any real scares or surprises, survival horror fans have been here before, but the exploration and puzzle solving is engaging enough. Unfortunately, these sections only make sparing use of Ian’s powers, which only amplifies the disconnect between them and the rest of the game. Admittedly, there are a few other passable moments sprinkled throughout Past Cure. There’s a quick investigation sequence later in the game that I quite enjoyed, and the game’s final boss, while frustrating, does require you to use your powers in interesting ways. Unfortunately, these brief bits of inspiration aren’t worth slogging through the rest of the game. Which brings us to Past Cure’s stealth segments. Hoo boy. They’re a tedious, glacially-placed trudge through the most generic parking garage and high-rise environments possible. Enemies are impressively stupid, oh-so-sloooowly moseying along predictable paths and taking no notice as you methodically stab their buddies to death one-by-one. And hey, if they do catch you, don’t worry – you can usually just abuse your slo-mo powers and easily headshot everybody in the room. This is the kind of shoddy stealth action that flooded the market following the initial success of Metal Gear Solid. I felt like I was back playing WinBack on the N64. So, thanks for the nostalgia I guess, but it’s not 1999 anymore. At least Past Cure is blessedly brief. You can finish the game in around six hours, although, trust me, it will feel longer. In my case, the game was longer than it ought to be in the more literal way too, as I lost chunks of progress to crashes no less than four times. I swear, my PS4 was trying to stage an intervention. 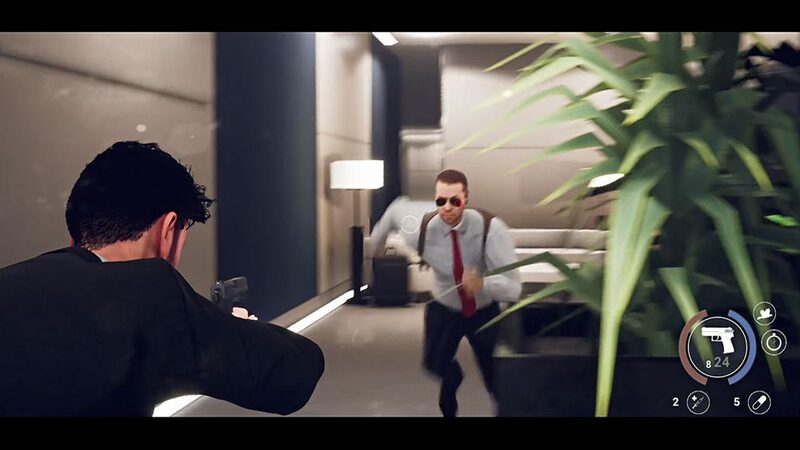 This review was based on a PS4 copy of Past Cure provided by publisher Phantom 8 Studio. You can purchase the game on Amazon. Past Cure is a bizarre experience. It feels like a half-dozen different games crudely stapled together, most of which are bad. 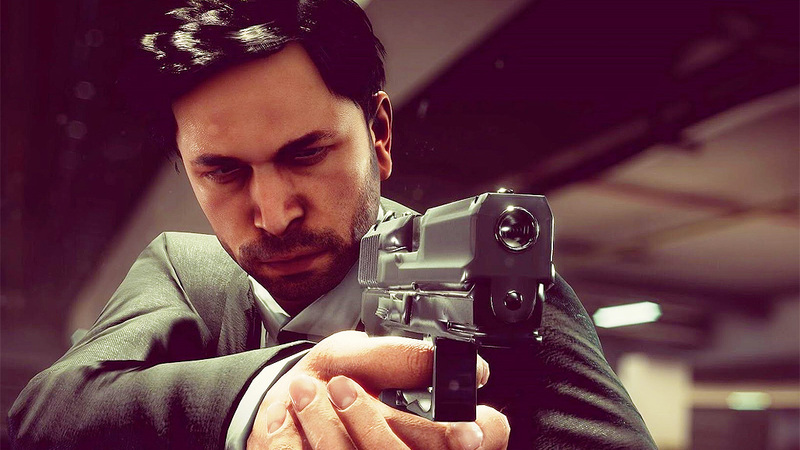 Yes, the game is ambitious, it reaches for the triple-A brass ring, but the end product is unfocused, unpolished, and, for long stretches, exceptionally boring. Past Cure? More like Past Bedtime.